Lyrical Strategies advances the highly original idea that not all literary fiction should be read as a novel. 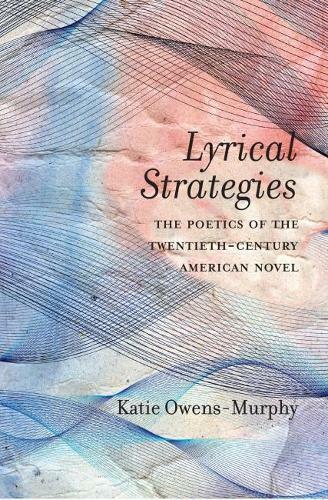 Instead, Katie Owens-Murphy identifies a prominent type of American novel well suited to the reading methods of lyric poetry and exhibiting lyric frameworks of structural repetition, rhythm, figurative meaning, dramatic personae, and exclusive address. Owens-Murphy surveys a broad array of writers: poets from the lyrical transatlantic tradition, as well as American novelists including Gertrude Stein, Jean Toomer, William Faulkner, Toni Morrison, Louise Erdrich, and Cormac McCarthy. Through a masterful reexamination of canonical works of twentieth-century American fiction through the lens of lyric poetry, she reveals how many elements in these novels can be better understood as poetic and rhetorical figures (metaphysical conceit, polysyndeton, dramatic monologue, apostrophe, and so on) than as narrative ones. Making fresh contributions to literary theory and American fiction, Lyrical Strategies will fascinate readers and scholars of the American novel, fiction, poetry, and poetics alike.